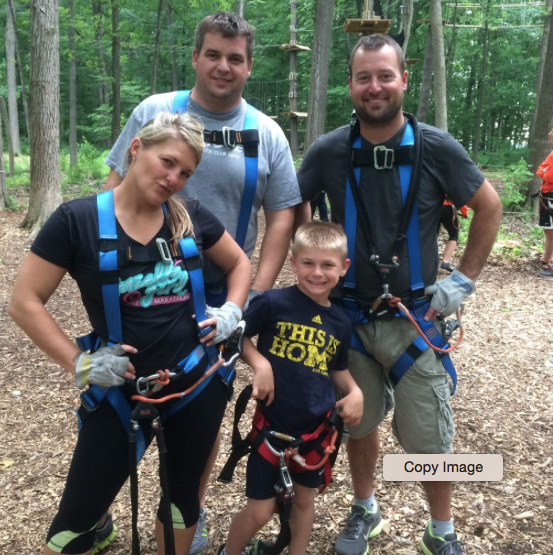 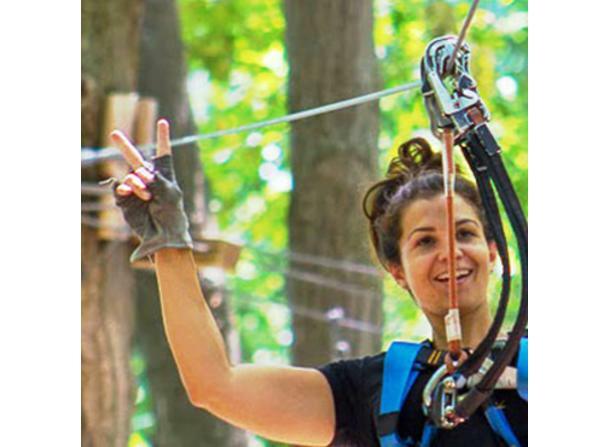 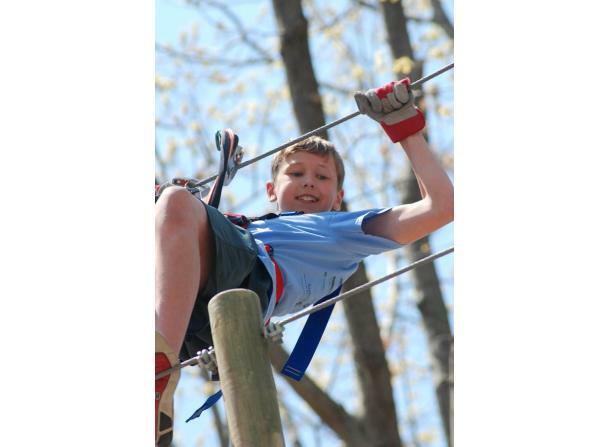 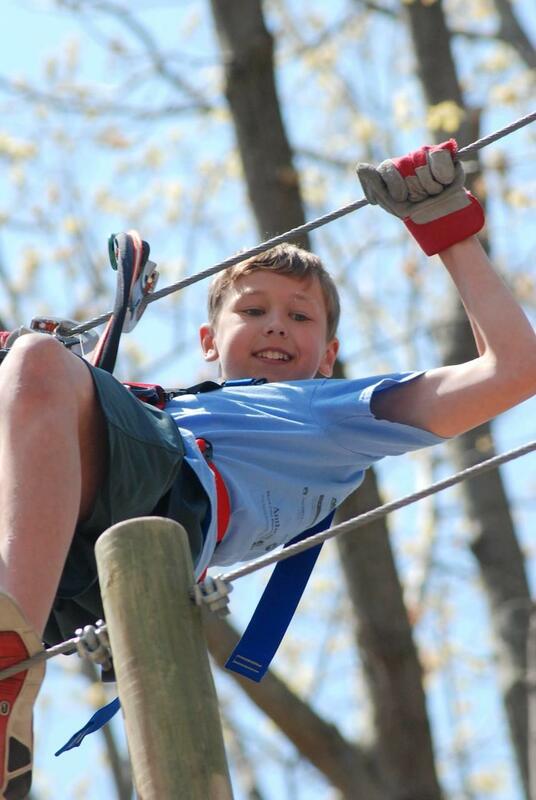 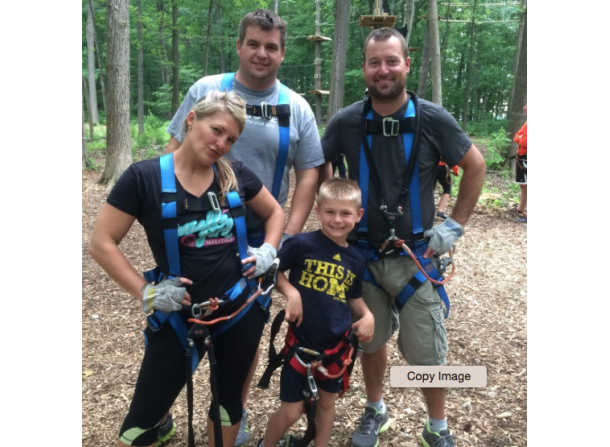 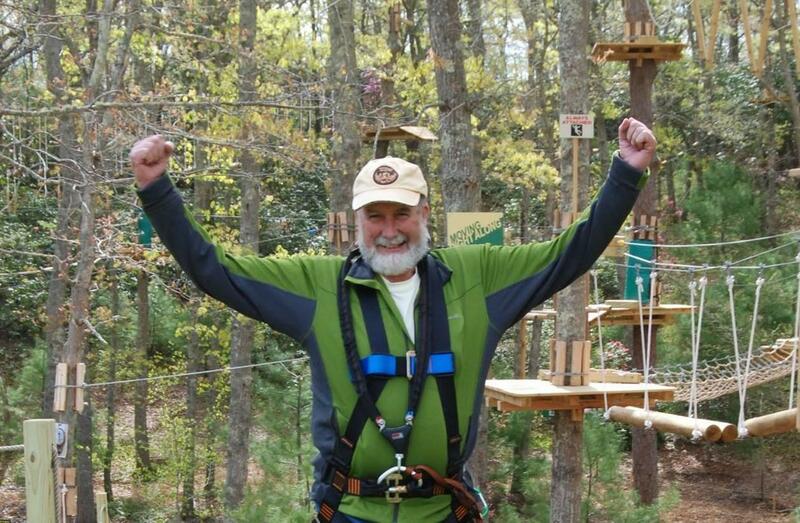 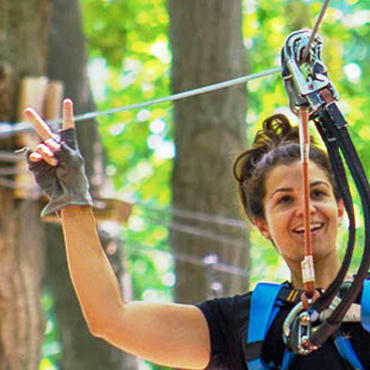 The Frankenmuth Aerial Park is eager to provide the thrill and excitement of a combination ropes course and zip line for family entertainment. 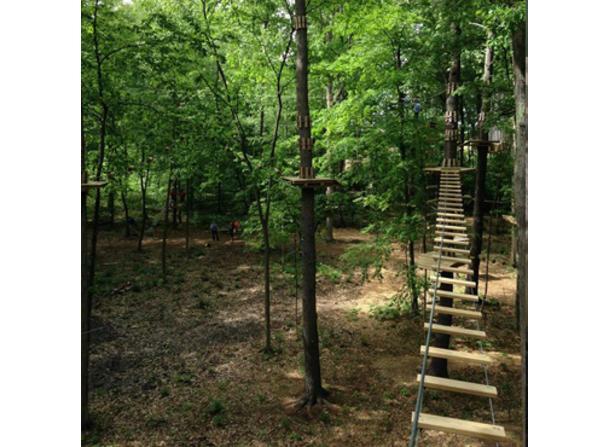 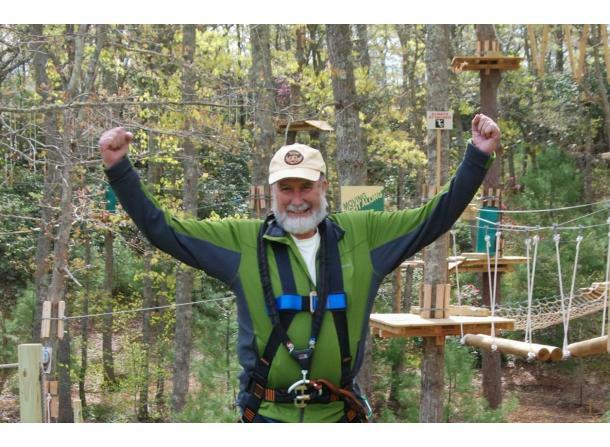 Participants fly through the air, swing through trees and challenge themselves on an aerial obstacle course. 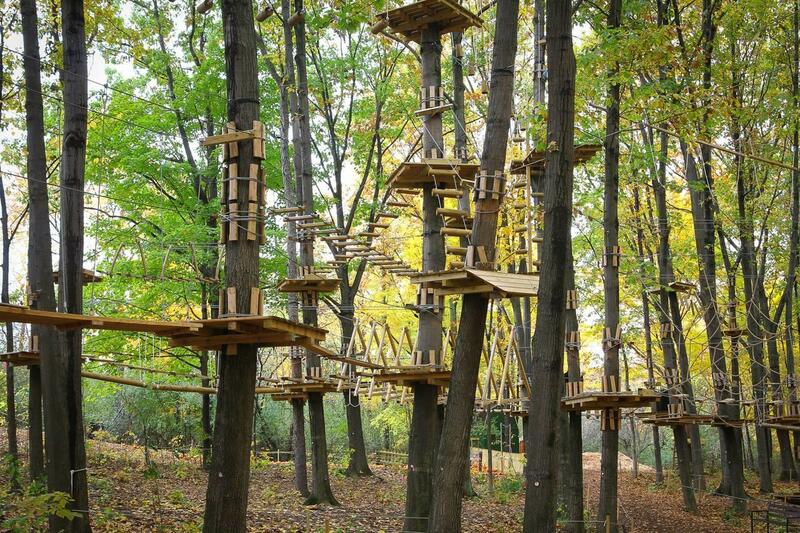 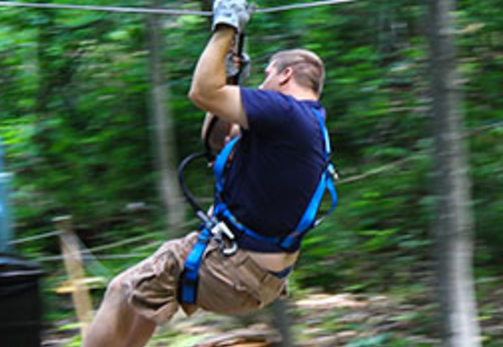 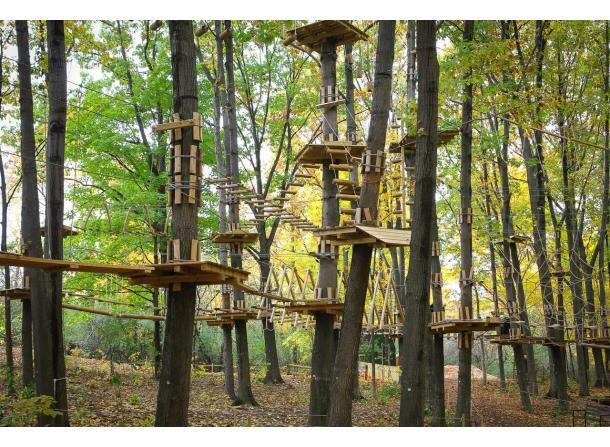 Enjoy multi-skill leveled challenges through the trees while onlookers and climbers alike delight in the serenity of the wooded park. 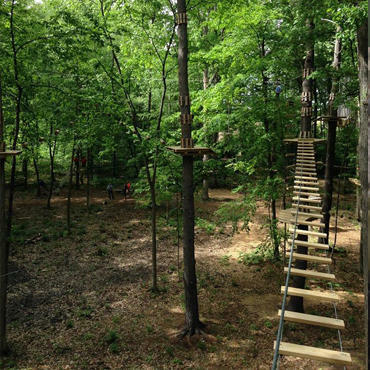 The treetops await you!